I totally forgot to announce that YouThruBiz has been selected as a semi-finalist in the 2008 Adobe MAX Awards! Moreover YouThruBiz has been showcased at Adobe TechConnection website. 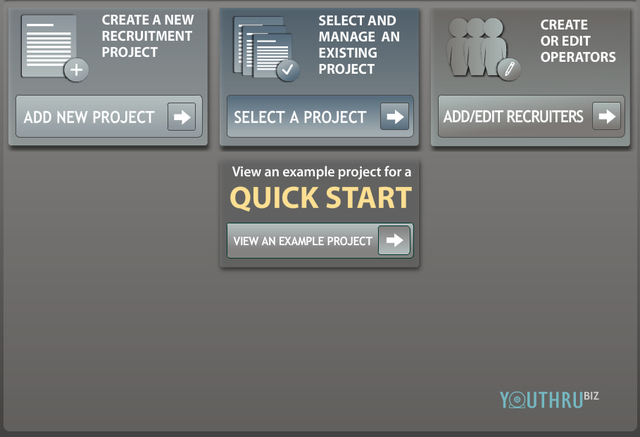 YouThruBiz is a Rich Internet Application developed by Comtaste using Flex, BlazeDS and Java. The application is a multimedia candidate web tracking system that will help you shortlist the right candidates for the job using customized multimedia job interviews and e-resumes. I'm very proud to finally announce that I'm working on a new book project about AIR development using Flash CS4. The title will be published by FriendsofED and it will have some great contributors: Andrew Shorten (Adobe Evangelist), Koen (www.newmovieclip.com) and my colleagues at Comtaste Matteo Ronchi and Fabio Bernardi. Going beyond the Internet browser was a dream for many Flash developers. Now with Adobe AIR, exporting Flash applications to the desktop is a reality. This book allows you to get started with the essential aspects of developing Adobe AIR applications using the Flash CS4 IDE. There a couple of great news about FriendsOfED and Apress (FOED was acquired by Apress). The first one is about new partnerships with German bookstore Lehmanns, which serves Germany, Austria, and Switzerland, (http://www.lob.de/) and Italian online technical book seller M.e.B.S. S.r.l. ( Gorilla.it http://www.gorilla.it). Safari Books Online: signed up to have our catalog available through O’Reilly’s online database for IT, programming, and design professionals. Safari Books Online is licensed to thousands of companies worldwide including Fortune 500 companies, major universities, and leading training organizations. Sun Developer Network: every month, SDN members will be able to view an exclusive sample chapter from a recent Apress book and will also be entitled to an additional discount on the eBook format for that title. Linux Pro Magazine: as part of a continuing relationship with Linux Pro magazine, several chapter excerpts from our open source and web development books are being posted at. I was out for the ActionScript Conference so I've missed the news: Flex 3.2 ( 3.2.0.3643) is on the way! A new nightly builds of 3.2 has been released and it's available now. You can read the changes provided by Flex 3.3.0.3643 on this page. I just want to remember that Flex 3.2 release is part of the long-term Marshall plan. These SDKs additionally include nightly builds of the AIR 1.5 SDK, which means you can begin testing how you would leverage FP10 features in AIR. We do have some instructions for using the updated Player with Flex Builder but they may be a little out of date. It will be seamless with FB 3.0.2. 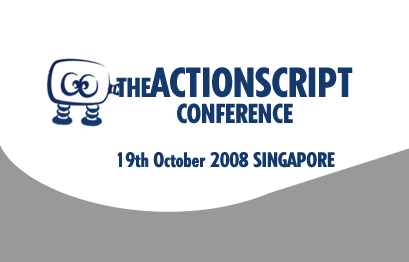 The ActionScript Conference in Singapore has been a great event. The guys of the Flex UG Singapore that have organized all the stuff made an excellent work. To be a first edition I can say with no doubts that it was a success. You can see photos of the event on Flickr as well as some interviews to some of the speakers. A great thanks for their kindly support to Shinji, Alex and all the other guys behind The ActionScript Conference. You rock guys ! 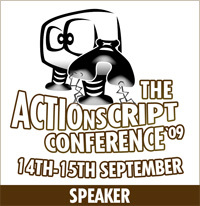 I'm heading to The ActionScript Conference in Singapore. I'm pretty excited to speak for the first time in Asia and I can't wait to share ideas and thoughts with people. 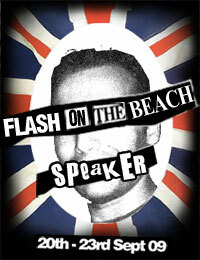 The Actionscript Conference (TAC) is a community conference with the focus on Flash Platform. TAC aims to bring topics on Actionscript 3.0, Flash development, Enterprise Flex, AIR, Integrating of Flash and other Platforms, and building Rich Internet Application to its audience. If you're there for the event, drop by my session to say hi. Want to join the beta of the next Flash Media Server 4 ? Adobe would like your help to test the next version of our Flash Media Server software, the best way to deliver media to the Adobe Flash platform and to create rich interactive solutions. Learn about some of the exciting new features we’re adding that will significantly improve the quality of media delivery to Adobe Flash player 10 and make it much easier to deploy your own Flash Media Server. Less than one month ago, a 16GB iPhone was sent to me for development purposes. We have some clients interested in porting their web applications to iPhone devices so I needed the Apple device to test applications. After one month testing I can say that I'm totally disappointed with the iPhone as mobile device and today I've turned back to my Nokia N95. First I thought it was only a matter of time. I believed that, as usual, when you buy a new device you need time to take confidence with the new tools, features and shortcuts. 2. Poor camera quality: the quality of the camera is very low (2 MegaPixels). You can't print (with a decent quality) an image taken with 2MP camera. Nokia N95 has 5MP camera. 3. No flash and no zoom: when I discovered this I went crazy. iPhone camera DOES NOT have flash and zoom. Is useful a digital camera without the flash and zoom features ? Not at all. Th Nokia N95 has a 5MP camera that means having a real digital camera device with you ! 4. No video: iPhone can't make videos. It's fun because iPhone gives you the ability to watch videos on the web via YouTube but the camera can't take a video. I travel a lot for conferences and I often need to shoot video quickly. The Nokia N95 makes great videos. 5. No MMS: Multimedia messages are very popular in Italy. They're fun and useful. iPhone can't send MMS messages. 7. No video conference call: I'm not a fan of video calls but they can be useful when you want to see your girlfriend when you're out for business for a long time. iPhone does not support video calls. 8. no FlashLite plugin for browser: I'm honest. With the ecosystem of applications available for the iPhone you won't miss Flash Lite standalone player. But what it's missing is the Flash player browser plugin. I think that the iPhone is a great Internet device. But it's a great limit for an Internet device not to show flash contents. Nokia N95 has Flash Lite player embedded. 9. No Expansion slot: 8 or 16GB can't be enough, especially if you start installing many applications, copying videos and music. iPhone does not have any expansion slot. Nokia N95 supports microSD cards ! 10. Cut and Paste: no needs to explain this feature. You can't cut/copy and paste anything ! UPDATE: 11. Modem usage: this is something I forgot to mention but it's crucial for a mobile device. iPhone device can't be used as a modem connecting it to a laptop via USB. The Nokia N95 once connected through USB to a laptop can connect to Internet working as a modem. iPhone is a trendy device. It's cool, user friendly, with a a fabolous screen (for size and quality) and it's one of the best Internet device I've tested so far. But it's not a mobile phone.